Home > Blog > Which Homes Require Flood Insurance? Which Homes Require Flood Insurance? Flooding can cause thousands of dollars in home repairs and losses to personal property. So it's no surprise that when faced with flood damage, many people wonder how much of those costs their homeowners insurance policy will cover. Never fear. Most insurance companies offer flood insurance that you can buy separately. Others offer you to add flood insurance as an extra rider to your regular homeowners policy. Your home sits near a body of water. Even small amounts of precipitation can cause rivers and lakes to overrun their banks. Overflows can flood nearby areas. Your home is in a very dry area. Flooding can happen when dry areas receive a lot of rain in a short time. The earth cannot absorb the water fast enough. Flooding then occurs. Your home sits on a flat area. Water can pool quickly and flood in flat areas, as it has no way to run off to a lower elevation. Your local area receives lots of snow. Flooding can occur when snow and ice melt. When frozen precipitation thaws and runs off, it can affect areas that are usually not a risk for rising water. Your home sits near areas with bad drainage. Most areas have laws that require water drainage systems in residential places. However, drainage systems may be old. These systems might not be able to cope with the sudden impact of extreme precipitation. Flood chances increase if your drainage system can't keep up with precipitation. You should always consider the risks of floods when moving into a home. Some areas at high risk for floods require residents to have flood insurance. 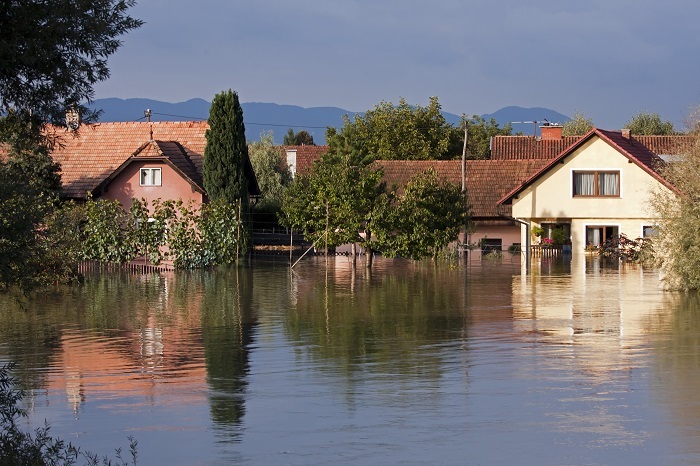 When buying insurance for a home, inquiring about flood insurance may be a good idea. If you have questions about adding flood insurance to your homeowners policy, or would like an estimate, we can help. Call All About Insurance at (817) 589-0006 for a free Fort Worth flood insurance quote.